The Gulf Coast has a new winner in its midst. 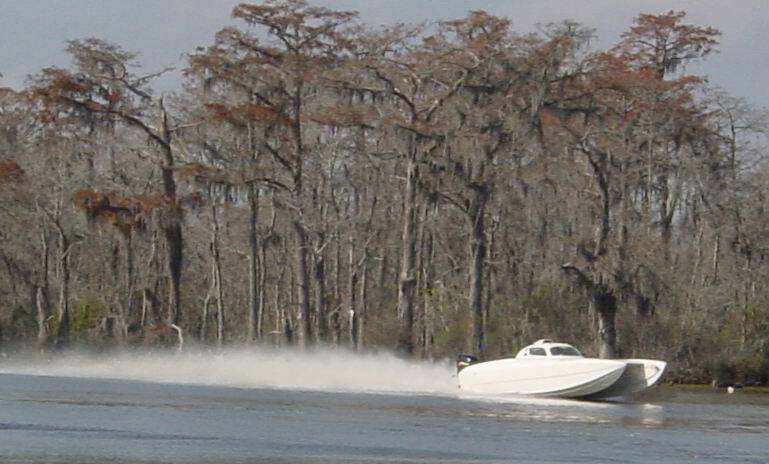 The recent World Champion and two-time National Champion boat, known as the Aqua Toy Store (S1) during the 2002 season, is now at home in Lafayette, Louisiana. 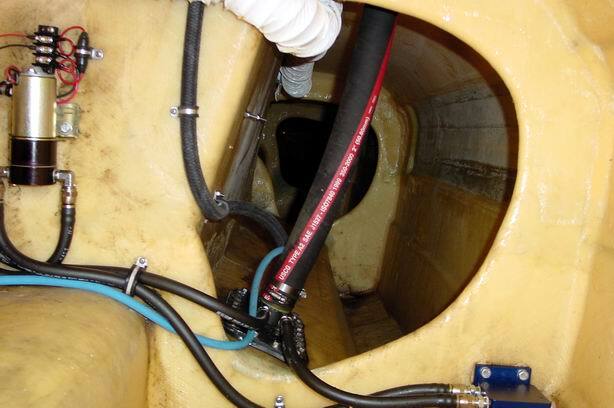 The boat was recently acquired by offshore racer Harry Clack. Harry plans on maintaining the winning history of this boat with a full throttle effort to keep it on top of the pack. 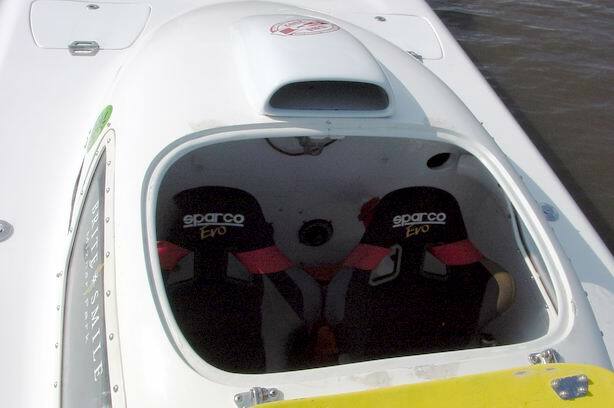 The boat started out as a Cutting Edge design named Blondie during the 2000 season. The design was so impressive that it is now owned by AMT who is producing a race and a pleasure version. 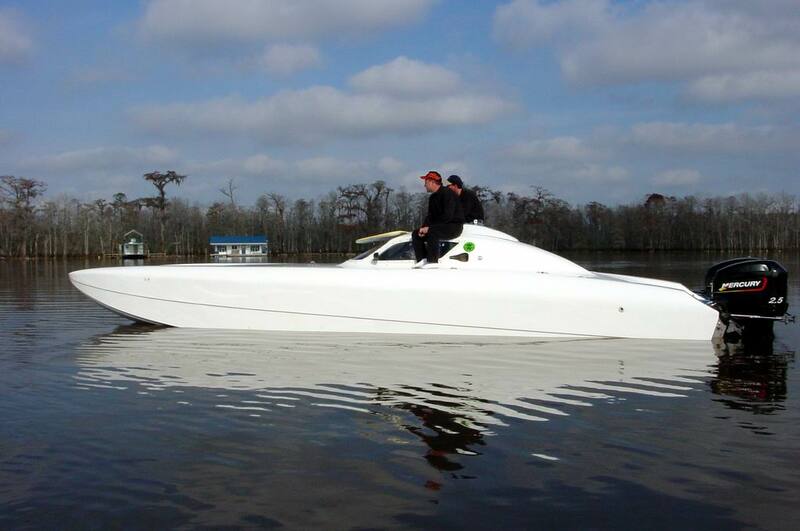 Powerboat magazine recently did a write-up on the pleasure version. See the link on AMT's web site for more. 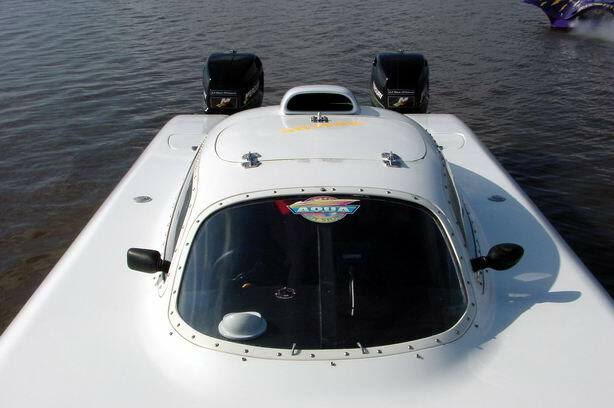 www.amtpowerboats.com During the 2001 season the boat was sponsored by Miccosukee Indian Gaming winning the Nationals. During the 2002 season the previous owner and throttle man, Gary Ballough of Boca Raton, FL made an impressive perfect season. First place every race. The new owner, Harry the Clackster, has been around racing most of his life. 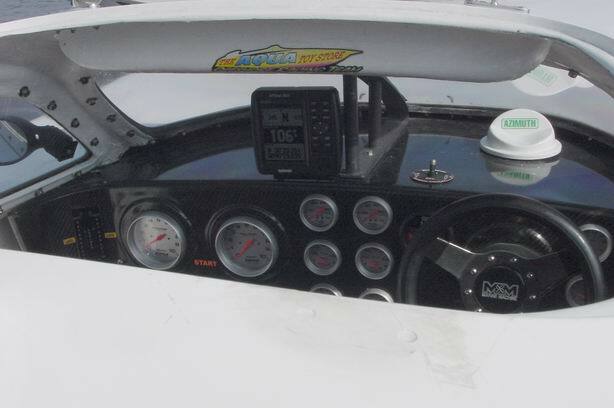 He has been involved with SST 120, drag boats, drag cars, other such motor sports. Harry's offshore adventures started with the Manerfelt designed 24' bat boat in the One Design class during the 2000 season. After rule changes that disallowed the Mercury scorpion 377 power, he switched to the P classes. 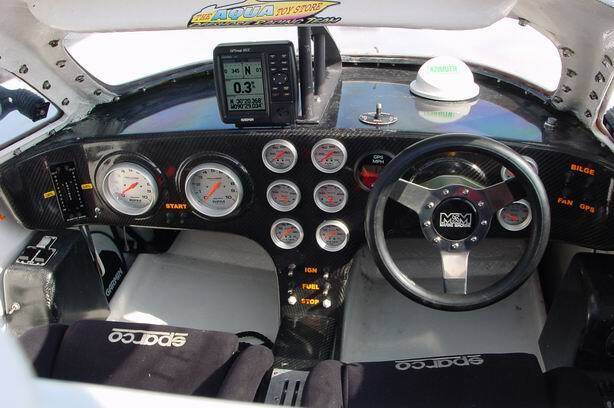 The bat boat is currently rigged with a Whipple charger making it a P2 boat or a 90 to 100 mph class. We caught up with the Clackster on the Tickfaw river in late December where he was testing his latest addition to the shop. Harry let us photo the boat inside and out, and even let me take the wheel for a test run. On that day the GPS recorded us at 106 mph. The ride was unlike any other boat I have ridden in, solid and stable all the way. We look forward to getting more photos of this boat during the season.